With all of its romantic wintery wonder, this is a beautiful time of the year to get married. Yes, the weather can be a little bit unpredictable – or maybe a little too predictably chilly – but winter weddings get to take advantage of some of our favourite wedding trends. 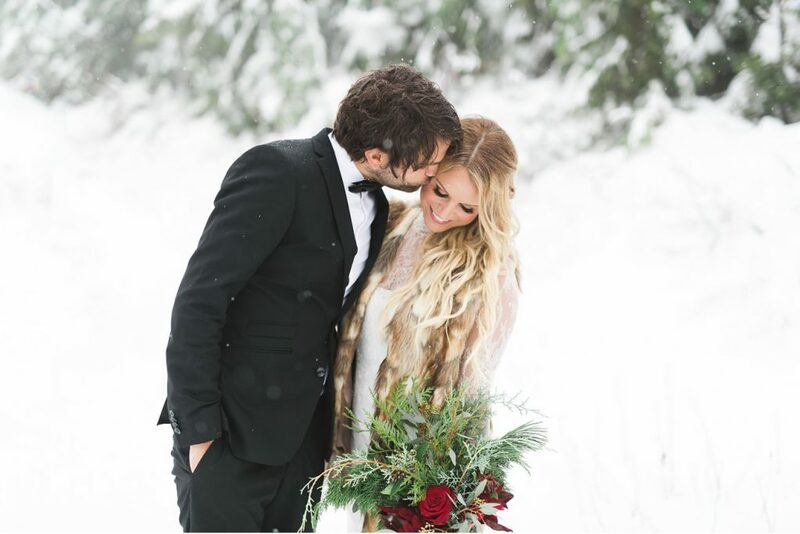 Brides in fur stoles, evergreen laced bouquets, and thick wool suits are only a few of the many reasons to tie the knot in the winter. If you have the privilege of attending a winter wedding this year, you may want to consider your outfit a little more carefully than you would for a summer wedding. The stakes get higher when frostbite is involved, after all. As dry cleaners in Toronto, we clean our fair share of formal wear. In the summer, we find ourselves cleaning a lot of chiffon and linen for wedding go-ers, but come winter, our time is spent tending to wool, velvet, and fur (or faux fur). Okay, we know. Obviously, the bride will be picking out your outfit (or offering guidelines) if you’re a bridesmaid. That being said, if she’s asking for your advice, we highly recommend floor length crushed velvet dresses with a nice deep v-neck. 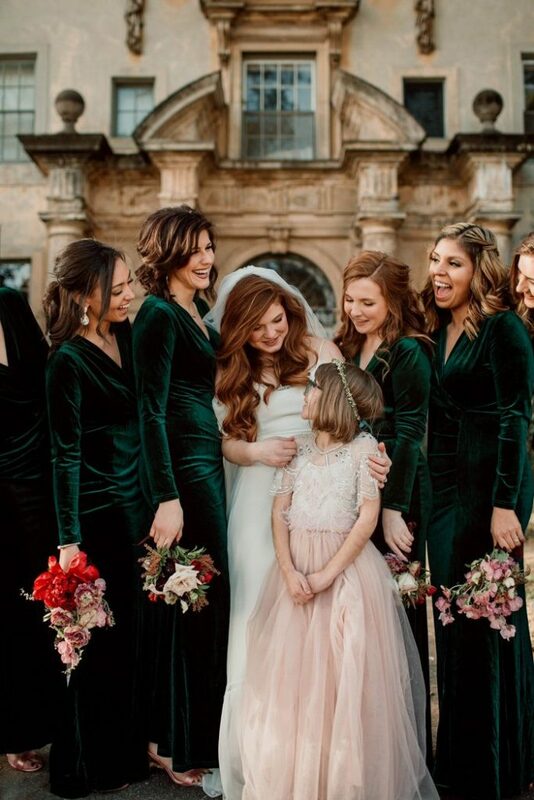 They are wintery, warm, and if your bride happens to have the most incredible red hair imaginable, choose the same emerald green ones as these bridesmaids. The long tulle maxi plus a tight fitting top is a winter wedding guest home run. It’s formal, but warm and is so much fun on the dance floor. Mothers of the bride and groom get to wear darker colours in the winter without offending anyone! Something with lace and long sleeves is a good idea and we highly recommend adding some statement jewellery and a clutch. We love fur stoles and have seen many gorgeous brides rock them, but this fur vest is original and stunning. It gives the bride warmth while still showing off the intricate lace of the gown’s sleeves. There’s something to be said for an extra layer of formality for the groom in winter weddings. This black suit and bow tie is perfect. No matter what you wear to a wedding, when the day is over, your formal wear will need a good cleaning. Schedule for Parkers to come and pick up your winter formal wear for cleaning at no extra charge so you can stay home and relax after the celebration.